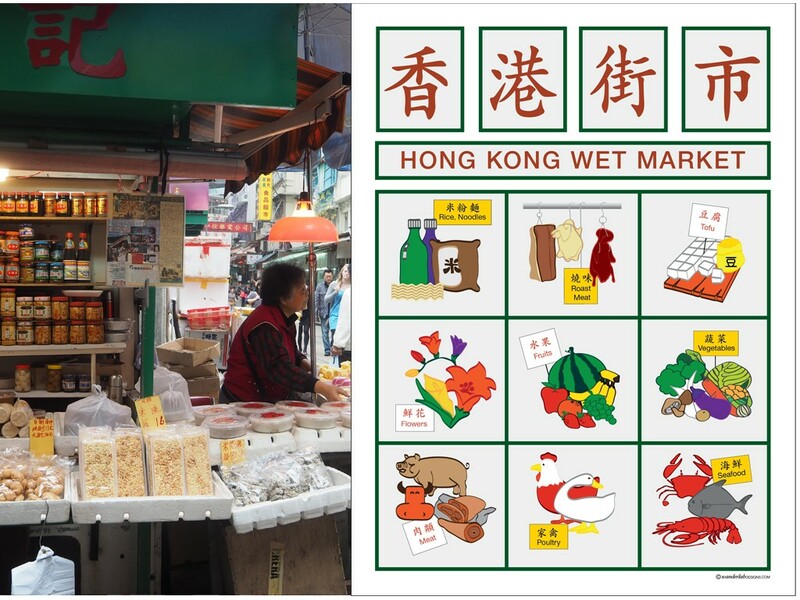 A unique poster series celebrates the street markets of Hong Kong and seeks crowdfund contributions with Kickstarter. 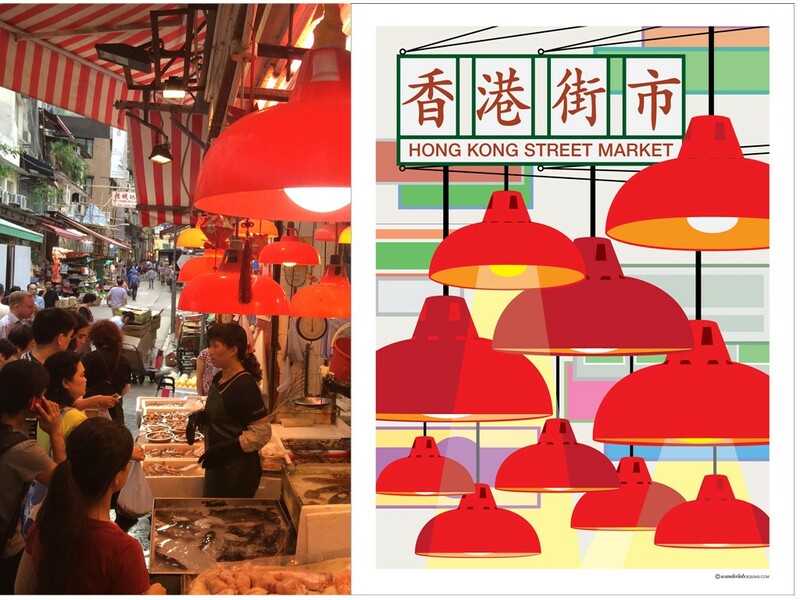 The project titled “Hong Kong Markets: a poster series celebrates local culture” is the creation of Hong Kong-based independent designer, Tiffany Wan. Inspired by her love for travel, and living in Hong Kong, she celebrates the local street markets through graphic design. Based in Hong Kong and originally from the US (Quincy, MA), Tiffany Wan explains why she chose to use Kickstarter, “It’s a great platform to build a community and raise awareness to support passion driven projects.” To bring the poster series to life, she seeks crowdfunding through Kickstarter.com to accomplish the first production prints. Rewards start at USD $5 and a single poster is USD $28. Her campaign runs until the end of October, and if successful, reward posters will be shipped to backers by early December 2015. The aim is for supporters to receive rewards in time for the holidays. 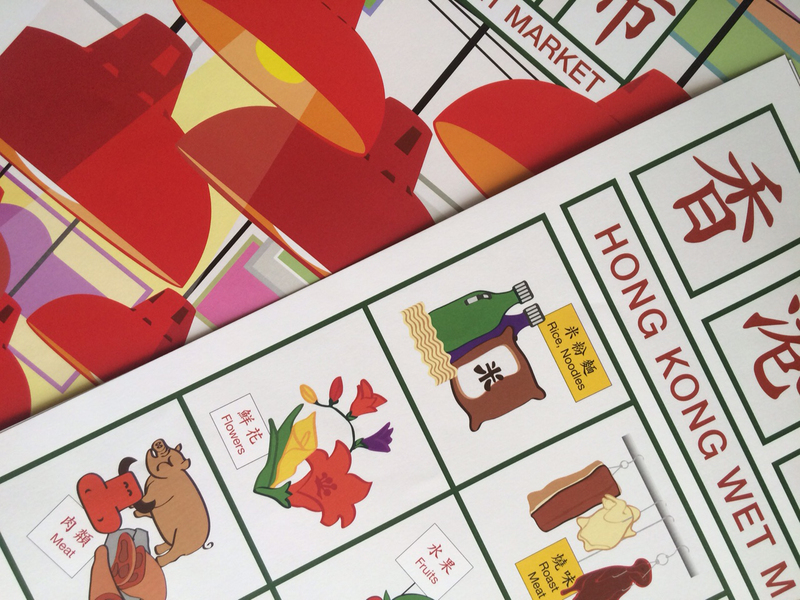 You can bring the posters to production and contribute to the launch of WanderlabDesigns by pledging as little as USD $1 to celebrate Hong Kong’s markets. For more information on the project, please visit www.wanderlabdesigns.com. Tiffany Wan is an industrial designer by training. She has varied work experiences, including work in the medical industry, environmental products, seasonal home decor, and photography and book design. Travel and globetrotting have resulted in a collection of artifacts and designs at WanderlabDesigns. The items reflect and reminisce on everyday experiences from overseas or abroad. You will find a growing selection of gifts and home décor to share from around the world.